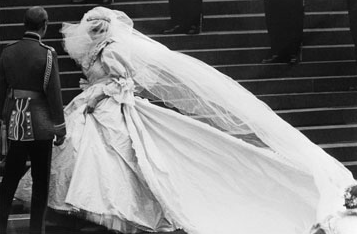 In anticipation of the royal wedding next weekend, here is a look back to a vintage royal wedding. Oh the 80s were the worst. Can’t wait to see what is sure to be a stunning dress on Kate!